Is it possible for a substance to be thermally inert? do not receive heat from their surroundings? Such a crystal would feel warm, despite potentially having a true temperature of a few Kelvin (or less). This substance would then make a superb insulator, just like a true vacuum but without the problem of pressure. Willing to accept answers that require a small amount of magic, but I want it to be at least plausible. Would be perfectly happy if this is possible and stable without magic, even if it requires magic to create such a crystal. Temperature is proportional to the (square mean absolute value of) relative motion of atoms. You might get in trouble choosing your reference point (relative to what? ), we'll need to keep that in mind. So with your substance, when you touch it or apply forces to it, those forces aren't allowed to change this. So they can't interact with a single atom, they need to somehow know to act on the whole structure. They could act on a single atom in very specific implausible ways so as only to change the directions of the atoms motion. Let's ignore this. But you always have forces which would only act on some atoms and not others (check: real life). So you need a force applied to just a single atom to propagate to the whole structure (with structure being everything that shares the same reference point, say the center of mass of some blob of material). If the structure is a gas or a fluid, you are now fu... I mean, you start waving your hands furiously. But the concept of a solid body is exactly that force applied to part of it propagate to the rest. Right? Right? Nope. That's one of those macroscopic things again. In real life the force spreads at the speed of light like a wave, ripples around in crazy unpredictable ways, thus does all sorts of things to the motion of individual atoms and ... heats the solid body up. Basically just like in a fluid or gas, but on a microscopic scale instead of a macroscopic one. Your intuition with the crystal seems to go in that direction, crystals do pretty well at being solid - just, well, you can still heat them up just fine. You couldn't if they were an idealized solid. So: Hands. Forget about science. Maybe your substance is made up from Platonic Solids aligned exactly face to face and fused together with super glue to create a Macroscopic Platonic Solid™. My argumentation is very simplified. Each simplification is an opportunity to start waving your hands, you don't need to wait till the end. In the first step I'm saying "atoms". In reality there are smaller particles. I know little about quantum physics and can't tell you how this could be exploited (other than just yelling "Quantum Physics" and leaving it at that). If you want to start your magic at 3, you could manipulate all forces acting on the substance and between the atoms of the substance so as to fix the energy of the individual atoms and just change the direction of their microscopic movements. You could probably do this by stretching space itself by tiny amounts in incredibly many places and adapting this in real time. At step 5, you could exploit that caveat with the reference points and allow some internal motion. Say some kind of super super fluid (real super fluid doesn't work), where instead of heating up in the classical sense, internal cyclic currents (whirlpools or something) form so that you have macroscopic kinetic energy instead of microscopic one. Or just put two hollow rigid spheres inside each other and any energy received goes towards rotation of the inner sphere. 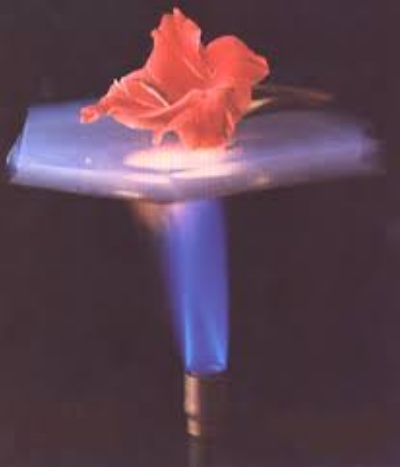 Aerogel is a synthetic porous ultralight material derived from a gel, in which the liquid component of the gel has been replaced with a gas. The result is a solid with extremely low density and low thermal conductivity. Nicknames include frozen smoke, solid smoke, solid air, solid cloud, blue smoke owing to its translucent nature and the way light scatters in the material. It's supposed to be an extreme thermal insulator. Did I mention they're taking this pretty frikkin seriously? You won't get the structural benefits of crystal, but if you get a big roll of this aerogel stuff, you can coat whatever you want in it! Update: Flower is from en.wikipedia.org. Crayons are from stardust.jpl.nasa.gov. The brave, brave Lady is from thermablok.com. The best you can have is that the material is so highly insulating that touching it won't give the true feeling of its temperature, and only the thin layer in contact will be thermalized with the touching object. Something similar happens for example with the ceramic tiles used in the thermal shield of the Space Shuttle: few seconds after being taken out of an oven at about 1000 C, they can be touched bare hand without harm. Still, this doesn't mean that the material won't exchange heat. Thermodynamic is not a beast you can easily lure. If you want to stick with science, then first you need to correct a misconception or two. You seem to be thinking of heat or temperature as an intrinsic property of a material, but it's not. Whatever the apparent temperature you measure by e.g. touch, then that's the temperature. 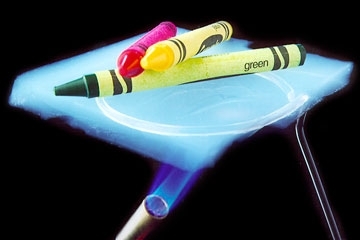 A material can have temperature gradients in it : one part hotter or colder than the rest, for example. But it can't appear to be one temperature and actually be another. What a material can have is low thermal conductivity. That means it can act as a buffer to the flow of heat. Heat will only transfer slowly within the material. But it will eventually transfer. An example would be the tiles used on the space shuttle. It's not quite as simple as a low thermal conductivity, but these tiles were designed to "soak up" heat and release it slowly. The aerogels mentioned in another answer ( by @akaioi ) are another example of a material designed to have low thermal conductivity. But it's low, and heat does flow. Also note that the thermal conductivity is temperature dependent. As the material heats up, it's thermal conductivity can increase (and of course it can suffer other structural issues). A material has as much heat as was put in, so to speak. You can heat it up and it gets hotter. Low thermal conductivity will slow the spread of heat through the material, but not stop it. It's impossible for an object that is cooler that it's surroundings not to receive heat from it's surroundings. Likewise if the object is hotter than it's surroundings it will transfer heat to them - typically by radiating thermal photons. Assuming you could make such a substance in the first place it would be stable by definition as it is completely inert. The problem I see is that this substance will share some properties with a Bose-Einstein Condensate mainly the fact that being so inert and so cold the constituent atoms are not moving and their position takes on a quantum smear which in turn makes the structure less stable and certain and increases its activity, at least that's what happens to the model in my head. The point is you get into some very tricky quantum physics territory where very small effects, one's you don't notice at higher temperatures, become very big issues when you get down close to Absolute Zero, which is by definition the temperature of a thermally inert substance. That's my take on it anyway, hopefully it's of some use to you. A blackbody is a hypothetical object which absorbs all radiation and does not reflect or transmit any. A white body is the opposite: it reflects all radiation and absorbs / transmits none. The white body will not be heated by radiation. Convection and conduction (really the same method of heat transfer - by intermolecular impact - for gases and solids respectively) could still heat such an object. If one magically enhances the reflection ability such that molecules of, say, my hand impacting the white body are reflected with all of their original energy, they will not give up any energy to the white body and so will not heat it. This white body might emit radiation, and so the interior would cool to absolute zero. Because it is not heated by exterior forces this would not be detectable from the outside. The white body would not, I think, be white but rather look like a mirrored surface. If that surface were cracked the exposed inside would immediately freeze solid the gas that flowed into it. Heat energy is contained within a solid as vibration of the materials chemical bonds. All chemical bonds can be induced to bend, rotate or compress by the application of some frequency of infra-red radiation. So there is no chemical substance that is immune from absorption of heat energy at some frequency. If chemical bonds could be “tightened” by increasing the attractive forces between atoms to a degree much greater than is possible in nature, then adsorption of energy would only occur at frequencies much higher than infra-red. Such a material would be more like nuclear matter composed entirely of neutrons as found in a neutron stars. The strong nuclear force bonds between neutrons would be so strong that they would not be susceptible to any vibrational motion induced by feeble infrared energy levels. It would need x-ray energy or even gamma ray energy to induce vibration within the neutron to neutron strong nuclear force bonds. 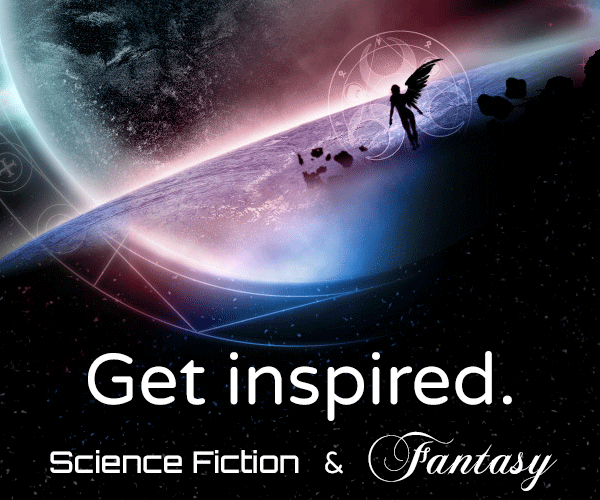 Going right off-piste here, but since we're 'world building'... could your material be quantum entangled with an equal bit (or 'opposite' bit) of material somewhere else? I mean, the bit in your hand is 'spookily' connected to another bit which happens to be in the freezer, or out in space, or orbiting the sun or whatever. The bit out in space either absorbs energy and passes it along to the bit in your hand, or else expels energy by taking it from your hand. Trying to tie this up with my pidgin-physics... the temperature of something sort of defines the amount the atoms that make it vibrate. The higher the temperature, the more they vibrate. How about each atom in the material in your hand makes it's opposite number in the bit of material out in space vibrate instead? Such a material would have a weird heating or cooling capability, which isn't exactly 'thermally inert' as I'd understand that to mean (I'm thinking more of an insulator there), but it would be able to (seemingly) absorb vast amount of energy without getting hot (and likewise could transfer a great amount of heat to its surroundings without getting cold. I take this to mean it has a very low specific heat. Basically, specific heat, or heat capacity, is the energy required to raise the temperature of a mass. An object with a low specific heat takes very little energy to raise the temperature. Similarly, it is very poor at storing thermal energy because its capacity is so low. The difference in heat energy between when it is hot and cold is very low. By "true temperature" I really mean something along the lines of "Joules of heat per kilogram of mass". This matches the units used to measure specific heat, which is energy/(mass * temperature). One of the SI conventions used is Joules/(Grams * Degrees Celsius). This just means that what you are looking for is also a great thermal insulator, meaning that it resists the transfer of thermal energy. The temperature of an insulator will eventually change, but it happens very slowly. This means that, to the touch, it is often difficult to determine the temperature of a good insulator. You can test this by putting some wood and some metal in the fridge for a while and then touching it. The wood may feel slightly cool but the metal will feel far colder, even though they are the same temperature. If your material has both of these properties, it will always feel like the temperature of whatever is touching it, but in reality be colder or warmer if it is still cooling or warming. Additionally, it will hold very little thermal energy. An idea how a thermometer might misread its temperature: Perhaps the surface is actually very conductive under pressure, so that a thin skin wherever it is touched by a thermometer will quickly absorb the very small amount of energy necessary to raise it's temperature (or vice versa), causing a temperature gradient and a misread by the thermometer. Or maybe the surface oxidizes which causes it to lose its insulative properties, but maintain its low specific heat. What you're looking for exists in engineering in some context. It's called a heat sink. It's generally something really big with a pretty high specific heat that doesn't change temperature based on the amount of energy you put into it. For example think about using a stove top to heat the ocean. The heat generated by your stove top isn't going to change the average temperature of the ocean at all. What you want is something that never has a heat to begin with. That's going to require a ton of energy to maintain. You'll essentially have to use other forces to stop random movement due to heat energy in your material. I think MIT did something like this to reach pretty much absolute zero. I believe they used magnets to do so. A few other people have done something similar. This also might not have been MIT. The cooling method they used is useful. The material isn't really. Or, since this is writing, you could just claim some BS that won't easily be proven wrong with a google search. The particular BS that comes to my mind is that "the broke time symmetry". Believe it or not, that's not complete hogwash. That is in fact something that you can in fact break. Who knew? (physicists did after the fact) I'd expect most people to stop looking into your assertions after discovering that broken time symmetry is real. If you're willing to get super loose with it and you still want a somewhat sciencey explanation as to why your material never has any heat, then just go with transferring all the energy to a different dimension or to something else. If you could suspend disbelief for the ability to do that, then it should work out. That is essentially magic though. Quantum entanglement doesn't work well enough to make something thermally inert to my knowledge. Use a topological insulator. Note that in a metal electons cary heat as a fluid. If that moves along the surface only, heat cannot be transferred inward or outward. It’s impossible to be perfect though. You’ll still have radiation, e.g. IR at normal temperature. So add another layer of stuff to reflect it perfectly. I think this is also impossible without consuming power, but you might get so close that the loss is insignifact. Suppose that you have a fantastically rigid substance so that the matrix of atoms is locked in place. Would not this material now act as a single 'atom' Hence it's amount of energy would be the same as as that of any ordinary atom. Essentially zero. Not the answer you're looking for? Browse other questions tagged science-based temperature or ask your own question. Fusion thrusters on a planet. Problems with temperature and radiation! Is it possible for the oceans to freeze solid (at least on the surface)? Is it possible for a mountain to be made out of glass? Is it possible for a forest with a similar climate to a jungle to have a rain cloud over it 24/7? What would be the most addictive substance it is possible to make? How to maintain container temperature for as long as possible?